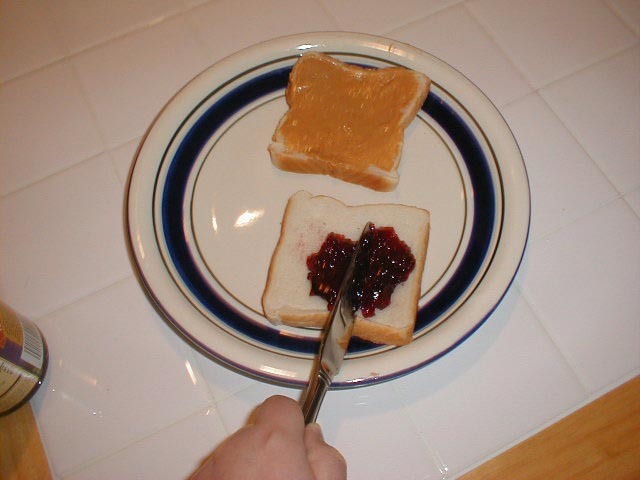 In cleaning up a home computer the other day, I stumbled upon a folder named “pbj” and had to laugh. I remember it well. Seventh grade. He was so ticked off at this assignment. It took him days to even think of something to write about. He hated English classes, period, but to be told to write a document of instructions about something, anything his heart desired, pushed him over the edge of civility. So proud. I really think he went the extra mile with that “Together” stage. He didn’t have to include that. How helpful to his audience, right?